Coast to Coast Spokesperson Advises Parslow Was Part of "Third-Party Sales Force"
A Florida woman who was charged last week with allegedly damaging windshields in an effort to book replacements for Coast to Coast Auto Glass is a part of the company's "independent, third-party sales force," according to company spokesperson Jigna Patel. 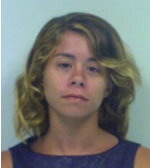 Jenna Parslow, 21, was arrested last week in Hernando County, Fla., and is charged with criminal mischief and possession of drug paraphernalia (CLICK HERE for related story.) Two vehicle owners claim Parslow damaged their windshields and then entered Florida Pawn Brokers, where they had stopped, and offered to fix the damage. "We utilize a third-party sales force on an independent contractor basis," said Patel. "The individual involved in the Tampa, Fla., matter is a member of that independent, third- party sales force, and not an employee of Coast to Coast." She added, "We are not yet familiar with all the specific facts of this matter, but pending resolution of this matter, Ms. Parslow is no longer providing sales or any other services on behalf of Coast to Coast." Patel also advised the actions police allege Parslow commited are against the company's code of ethics. "Coast to Coast Auto Glass does not and will not tolerate unethical, fraudulent or illegal conduct by any of its sales representatives or other vendors," Patel said. "This is against our company's philosophy and core principles, and is contrary to the code of ethics that we require of any person providing sales services on our behalf." According to the arrest report, Parslow, who was arrested after the incident, told police she was there "trying to locate possible customers." She advised she receives $45 for every customer she refers to Coast to Coast, according to police records. "Jenna did have a binder which did contain contact numbers for the insurance companies and invoices to complete when she makes the referral," writes Officer Julio Tagliani, who filed the arrest report. Parslow was jailed with a $750 bond and provided with a court date of October 28.